Hyperion, New York, 2005. 197 pages. Available at Sembach Library (MCN 791.509 HEN). 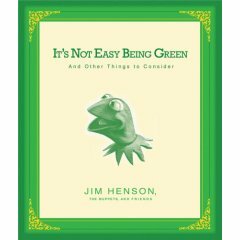 Here’s a delightful and inspiring little book, full of quotations by and about Jim Henson. I’ll simply quote a few of my favorites.